This is a big country, with bunches of different regions and areas, lots of history and tons of culture. So it's no wonder that there are almost as many ways to decorate as there are places to live. That's what makes designer showhouses so exciting. They're a great opportunity to see the best designers and the best design that a particular area has to put on display. Whether you're traveling and wanting to see more of a region, or are a true admirer of the work of interior designers, showcase houses are a great place to visit. Devoted fans of designer showhouses make it a point to visit these events, not only in their local areas but on vacation as well. The showhouses listed here are well-respected and provide great examples of current design trends, decorating ideas, and the work of talented interior designers and tradesmen. Visit one whenever you can! Below are our top picks of all the many design houses in the United States where you can get ideas for decorating your own home, to see the latest in interior design trends, and to view the work of the area's top tradesmen. You might want to plan a trip around the scheduled showhouses as I do. Enjoy! 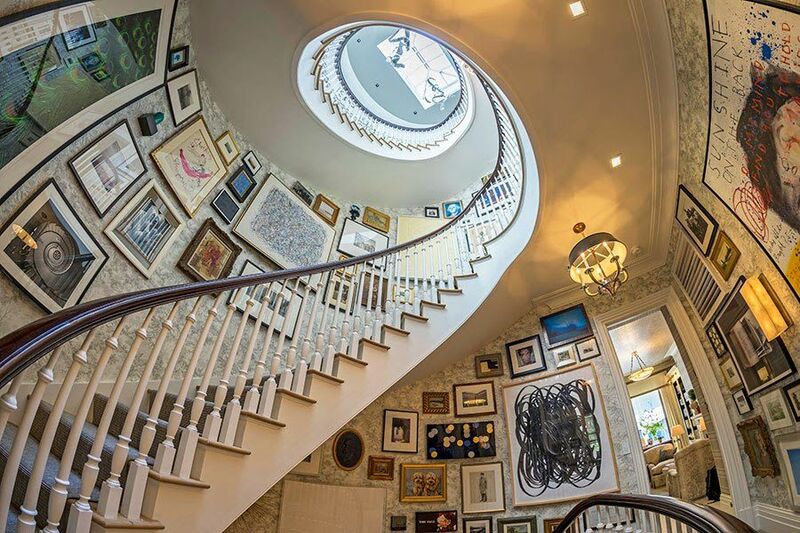 For over 30 years, the Kips Bay Show House in New York has been raising money for the Kips Bay Boys and Girls Club's programs and has become the benchmark by which all other decorator showcase houses are judged. New York interior designers donate their time and talents to create unique interior spaces. This annual benefit combines the work of volunteer Pasadena Philharmonic members and over 50 interior and landscape designers to transform the interior and grounds of an estate. Over $14 million has been raised to assist the Los Angeles Philharmonic Orchestra, schools, and other local non-profit organizations in the southern California area. Showcase houses are held in the spring. Chicago's Infant Welfare Society sponsors the Lake Forest Showcase House and Gardens in Lake Forest, Illinois. This bi-annual event is in the spring, and benefits the programs of the organization. Raising funds to support breast and prostate cancer research at the Medical College of Wisconsin is the goal of the Wisconsin Showhouses. Held in June in houses along Lake Michigan, this popular event attracts many of the best designers and landscape architects in the Midwest. Since the first Showhouse in 1998, the organization has raised over $1.75 million. The Junior League of Minneapolis and the Junior League of St. Paul combine their efforts to sponsor the Designers' Showcase Home in mid-May each year. Proceeds have helped to fund programs undertaken by these volunteer organizations. Recently celebrating 35 years, the Marin Designers Showcase in San Francisco, California, is open from late September to mid-October. A preview party, daily fashion shows, and Thursday "meet the designer" nights are just some of the attractions. Proceeds benefit non-profit orgaizations in the area. This showcase house has been the main fundraising effort of the San Diego Historical Society since 1974. From late-April through May each year, vacationers can visit the house and enjoy other attractions in the San Diego area. The Atlanta Symphony Associates contribute over $1 million annually to the Atlanta Symphony Orchestra through the Decorators' Show House and other fundraising events. Over 2,000 volunteers give their time to staff the house which attracts over 15,000 visitors from mid-April to early May.